Written by Anna May on November 22, 2016 . Posted in Conferences, News. 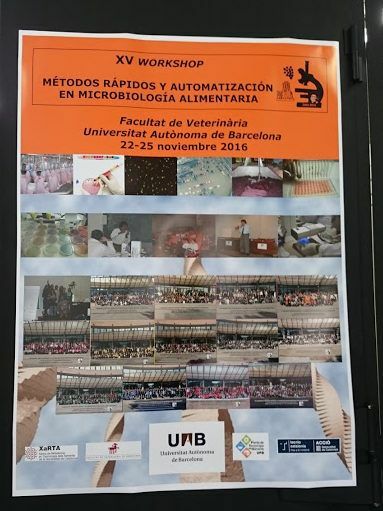 From November 22nd to 25th there is the XV Workshop on Rapid methods and automation in food microbiology at the Veterinary Faculty of the Universitat Autònoma de Barcelona (UAB). 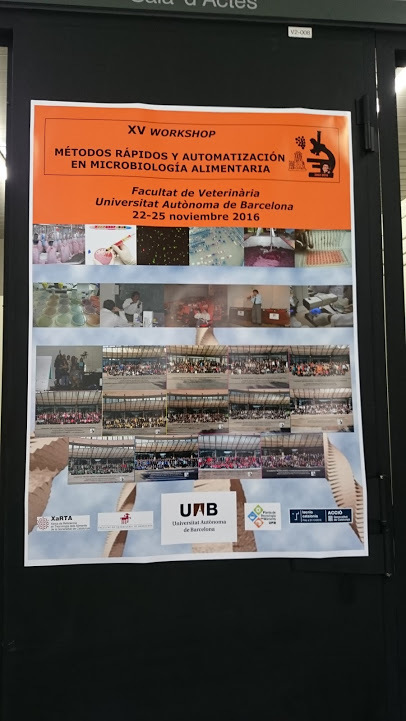 This workshop is organized by Centre d’Innovació, Recerca i Transferència en Tecnologia dels Aliments and Departament de Ciència animal i dels aliments, and is based on the original idea from Professor Dr. Daniel Y. C. Fung (Kansas State University, Manhattan, Kansas, USA). The purpose of the workshop is to broaden and spread the theoretical and practical knowledge about innovative methods for rapid detection, enumeration, isolation and characterization of foodborne and waterborne microorganisms and their products. 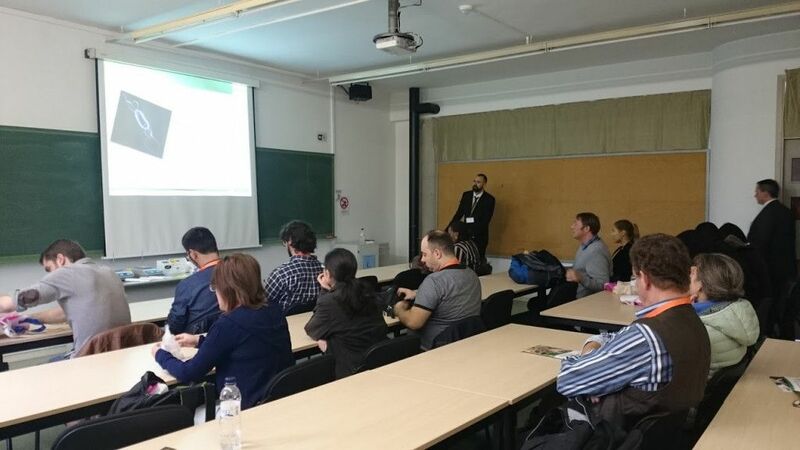 The workshop will consist on different presentations from researchers and industry, lab sessions and exhibitions. Read the program here. We hope that Deyaa learns new things and enjoys it! Written by Anna May on November 8, 2016 . Posted in Conferences, News. 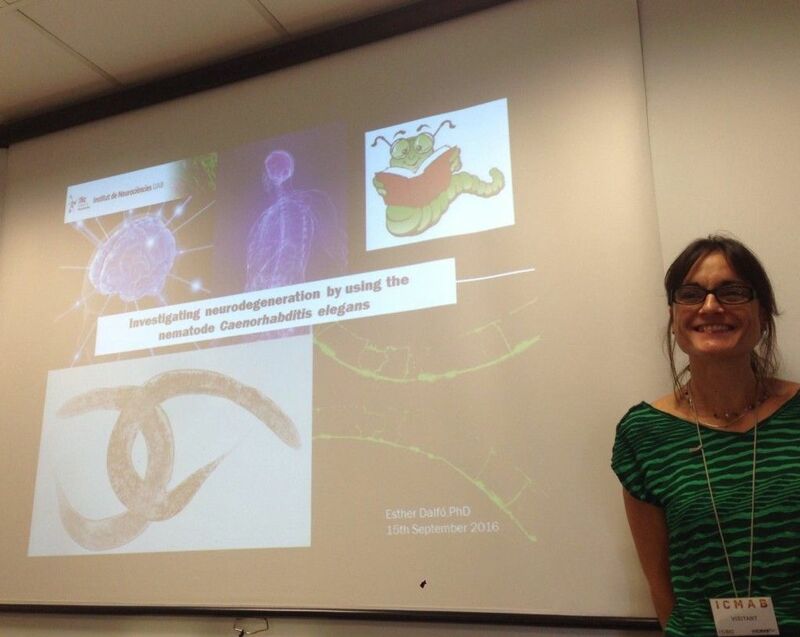 Anna Roig will attend the B·Debate on Imaging for Life. 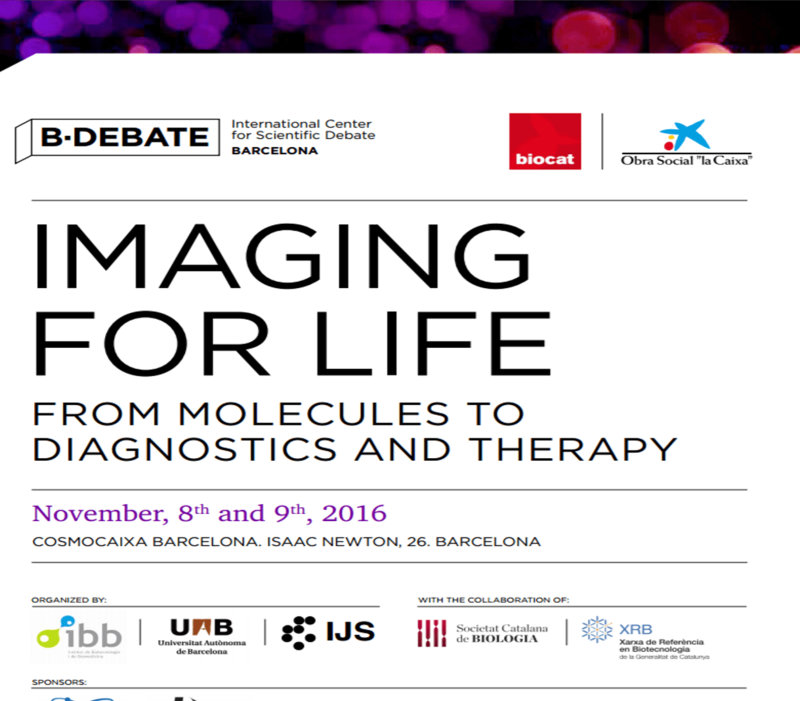 From Molecules to Diagnostics and Therapy, that takes place on November 8-9 at CosmoCaixa (Barcelona). The scientific leaders of this B·Debate are Francesc Xavier Avilés, from the Institut de Biotecnologia i Biomedicina (IBB) – Universitat Autònoma de Barcelona (UAB) and Boris Turk, from “Jožef Stefan” Institute (IJS) – Ljubljana University, Slovenia. The objective is to bring together national and international experts in the field to discuss the future perspectives and strategies for the current challenges on molecular imaging. 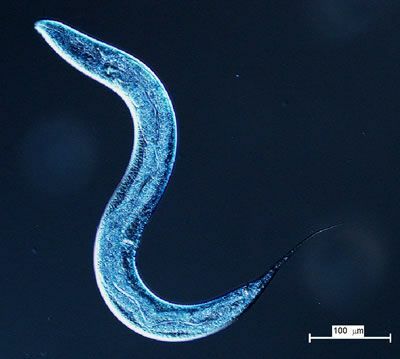 The B·Debate will focus on molecular, cell, tissue and small animals research, and to their biomedical applications, including non-invasive diagnostic, imaging-guided surgery, multimodal scanning and theranostics. 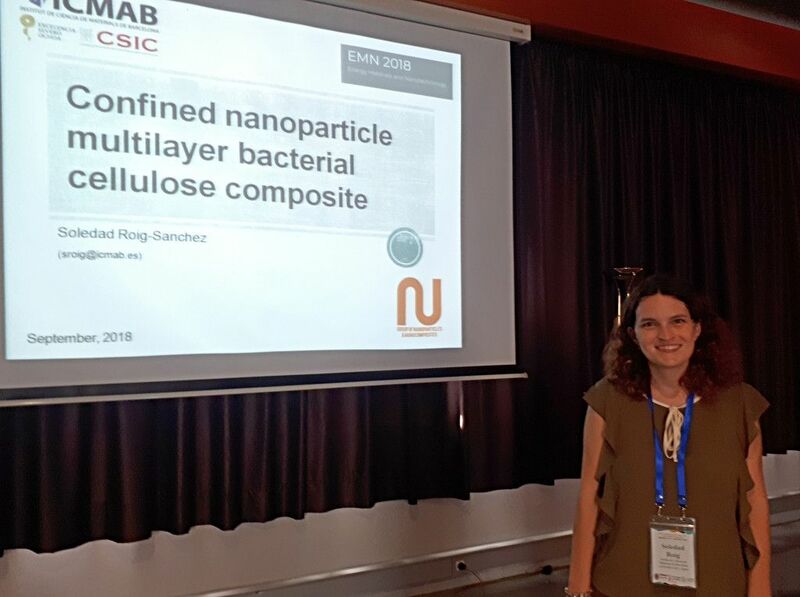 For sure this B·Debate will be useful for Anna and for the group, since imaging is a powerful tool to study the interaction of inorganic nanoparticles with living organisms, such as C. elegans, which is the topic of Laura González thesis, for example. 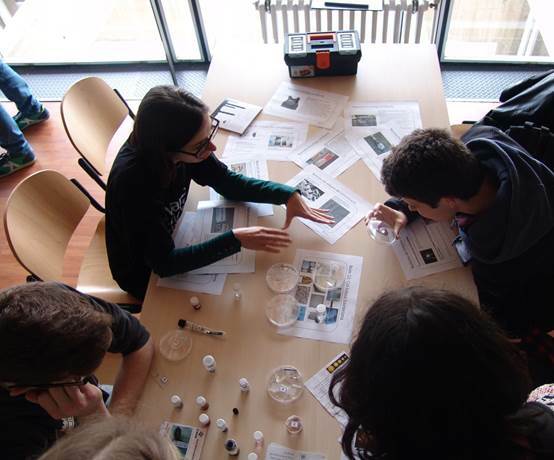 This B·Debate is an iniciative of Biocat and l’Obra Social “la Caixa”, together with the Institut de Biotecnologia i Biomedicina (IBB) – Universitat Autònoma de Barcelona (UAB) and “Jožef Stefan” Institute (IJS) – Ljubljana University (Slovenia). Written by Anna May on April 4, 2016 . Posted in News, Science outreach. 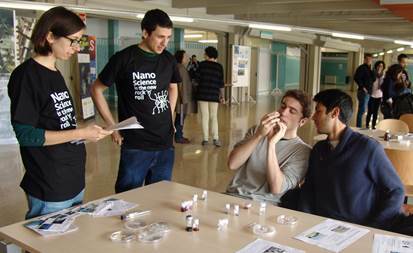 The N&N Group has collaborated in the first science outreach festival of Nanoscience and Nanotechnology. 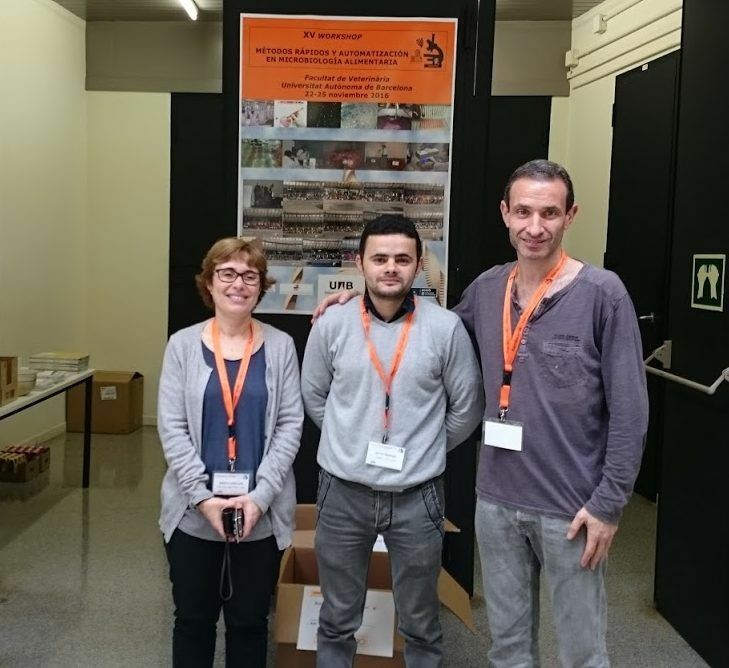 This festival, held between April 4th-8th 2016 in different locations of the Spanish geography (Zaragoza, Donostia, Barcelona, and Campus UAB) is full of different activities: seminars, exhibitions, workshops, nanodebates and competitions. 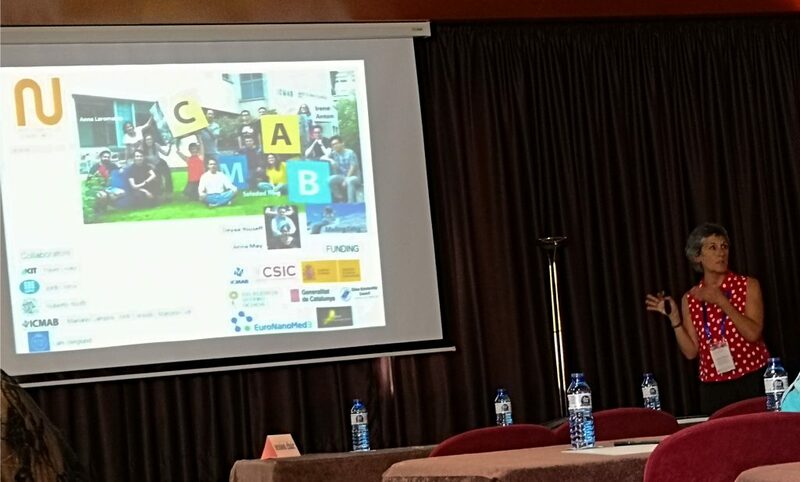 Anna May and Pol Sallés participated in the workshop around “Nanomaterials at ICMAB“, in which different nanomaterials created by ICMAB were shown and the role of nanotechnology in our daily life products was discussed. 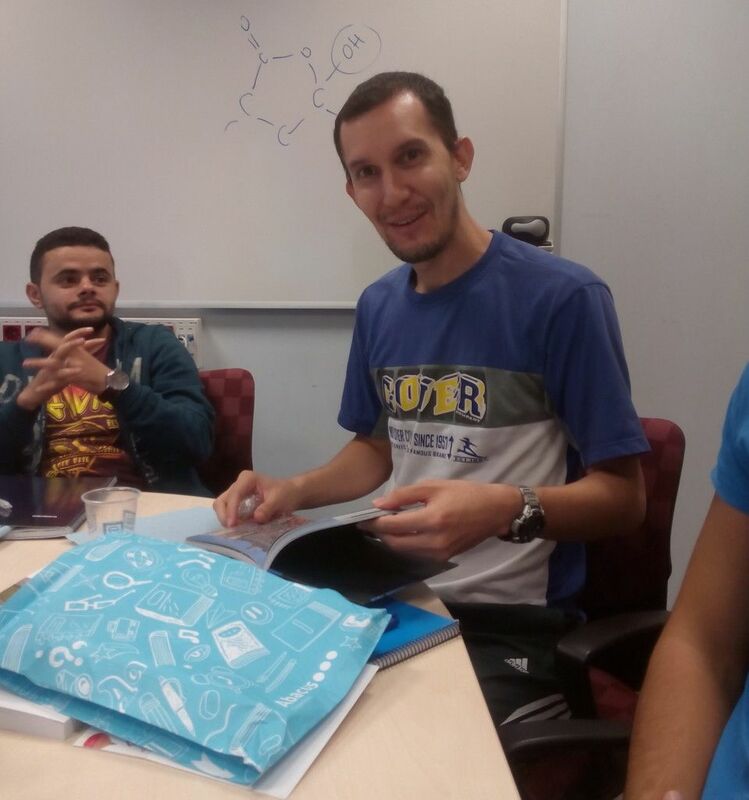 The assistants were mainly students from the UAB (Nanoscience and Nanotechnology, Biotechnology, etc. 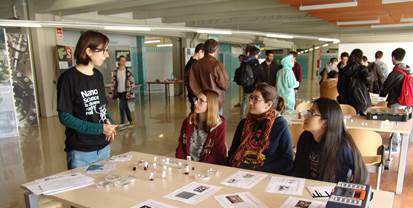 ), but also high school students interested in pursuing a Nanoscience degree were present. 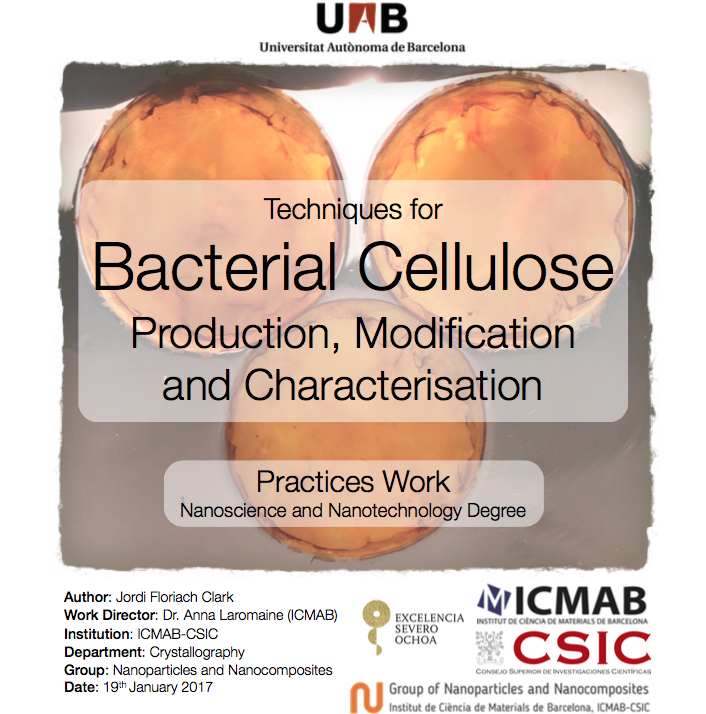 Tomorrow, Tuesday 5th April, Anna Laromaine will give a talk on Nanomedicine (Sala d’Actes, Facultat de Ciències, 10.30 – 13 h) and the workshop will also be held at the C1 Hall of the Facultat de Ciències (13 – 15 h). 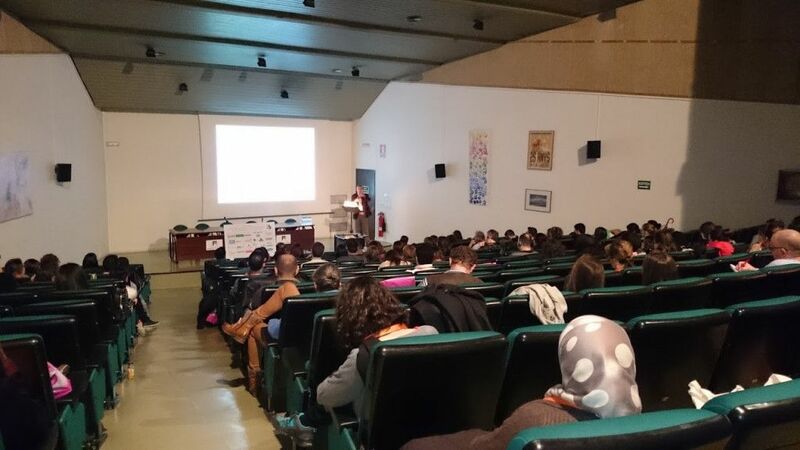 The program of the different activities held at Campus UAB can be found here. The news at the ICMAB webpage is found here. Written by jags on October 4, 2013 . Posted in General News.